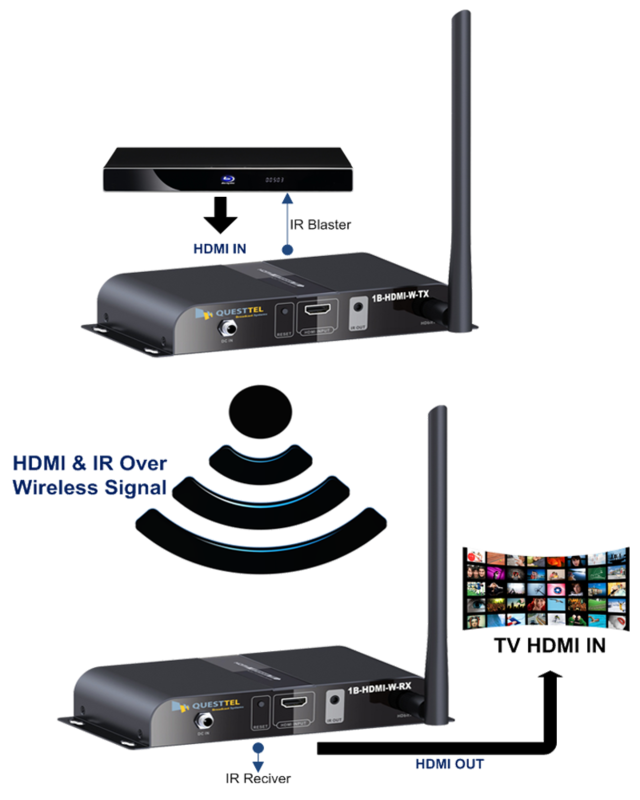 QuestTel's long range wireless HDMI transport solutions, which extend HD video and audio to any HDTV device. Transmit the HDMI signal over the AIR, it supports HD resolutions up to 1080p. 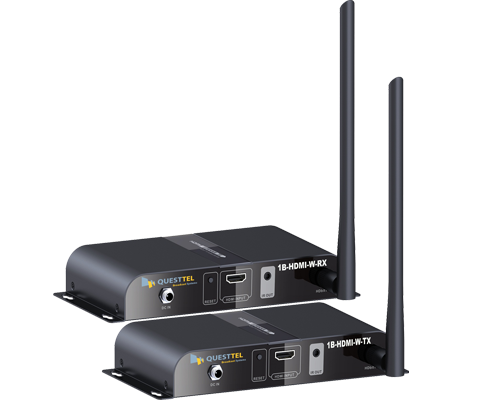 QuestTel's long range wireless 3G/HD/SD-SDI transport solutions, which extend HD video and audio to any HDTV device. Transmit the SDI signal over the AIR, it supports HD resolutions up to 1080p. 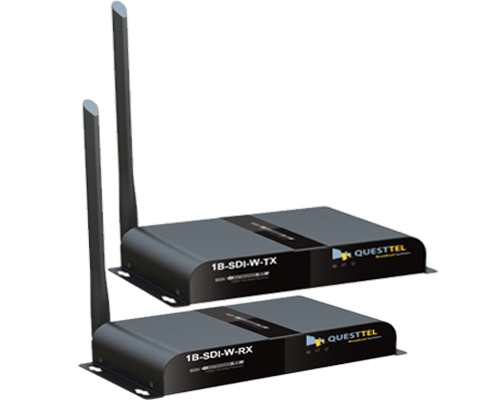 QuestTel's long range wireless HDMI Transmitter/Receiver kit fully compliant with HDCP, extends high definition audio and video to any HDTV display up to 650 feet (up to 200 meters). It supports HD resolutions up to 1080p. Wirelessly transmit the HDMI signal to any HDTV over the AIR, it also supports IR remote control function to control source device content from long distance. Support IR remote control function to control source device content from long distance.